What is the process to become a Big? The process for becoming a School-Based Big takes about two to three weeks from applying to being matched. In Community-Based, it takes around a month. In both programs you start by filling out the online inquiry form. Once we receive your application, a member of our staff will contact you to set up an interview and complete the necessary background checks. Interviews help us learn more about you and the activities you enjoy. We want to ensure we match you with a child who you will be able to have a sustainable relationship with. The more we know about you, the better we can match you. You are also required to attend our orientation. During orientation we will discuss different scenarios you might encounter as a Big and how to approach them. Then we will set up a time for you to meet your Little. It is helpful for volunteers to cover the $15.95 for the background check to defray the large cost it would incur for our organization; however if that is a concern, please let us know as we do not want that to impact your decision to participate in our programs. What is the time commitment for being a Big? In order to create a sustainable relationship with your Little, you must commit to at least one year meeting for approximately four hours a month (totaling 48 hours for the year). In School-Based, you will meet once a week for 30-60 minutes at the child's school. In Community-Based we ask that you meet at least twice a month for a total of four hours. As a Big/Little team, you decide together what you want to do and then your Little gets parent approval. We recommend that you keep a consistent schedule of outings and get together on a regular basis. Until your relationship is established the outings will also depend on the comfort level of your Little’s parents, your Little and you. The quality of time invested with your Little is more important than the amount of money you spend. That’s why we don’t encourage spending a lot of money on your outings. The goal of the relationship is to help him see the world through a different lens so you can inspire him to become something he never thought possible. If you are going to spend money, we encourage you to seek out low-cost activities, especially in the beginning. Shoot hoops at a local park, play a game together, or share that pizza that you were going to have for lunch anyway. Big Brothers Big Sisters agencies offer donor-supported group activities that are a great way to meet other Bigs and Littles. As a Big, you will also receive notices for free tickets to cultural and sports activities for you both to enjoy. Share an activity that gives you something in common to talk about. Buy a comic book to read together. Play a board game. Hit a bucket of golf balls at the local driving range. Take a ride in the car with the radio on and talk about the music you like. You want to select activities that give each of you a chance to learn more about one another. For children, playing can be learning. Most important: keep it simple and enjoy yourselves! We also send out a weekly email with different activity ideas you and your Little can do together. In the beginning it’s important for you and your Little to get to know each other. This can happen best on a one-to-one basis. However, over time it’s also valuable for your Little to get to know the people who are important to you. Just keep in mind that if you’re spending lots of time with others, your Little may begin to feel jealous or neglected. The main focus is the friendship you develop with your Little and the impact you have on his life. Can I be a Big with my spouse, a friend or family members?  At Big Brothers Big Sisters of Central Iowa we offer the option to be a part of a Big Duo or Big Family in our Community-Based program. As a Big Duo, you and a friend, spouse or family member can be matched together with one Little. The three of you can enjoy activities together that you all enjoy. In a Big Family, it allows your entire family to be matched with a Little. It is a great option for someone who doesn't want to take more time away from their family and wants to teach the rest of their family to give back to the community.